Bill’s initial interest in radio was sort of accidental. Freedom High School had an in-house radio station when Bill was there, and you were allowed to skip study hall if you were a part of the radio station. To escape the boredom of study hall (where no one actually studied anyway), he joined the station. He wonders to this day what would have happened if Freedom had had a Brain Surgery club! Born and raised in Bethlehem, Bill worked at stations in Allentown, Wilkes-Barre/Scranton, White Plains NY, Port St. Lucie FL, and Binghamton NY. After doing the radio gypsy thing, he’s been back in the Lehigh Valley since 1999. He’s a big fan of the New York Giants (poor guy! ), and Lehigh University Wrestling (where his grandfather served as coach for 41 years). Bill is a 9 handicap golfer, and vows to improve his game soon. Keep it in the fairway, Bill! 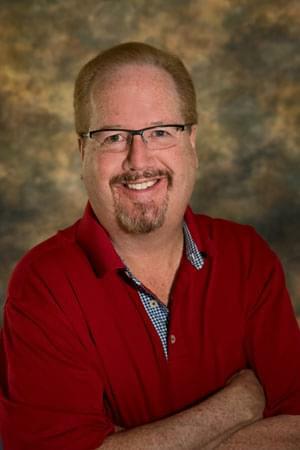 Bill is the Program Director/Brand Manager and Afternoon personality on 99.9 The Hawk.